Article I – Section 11A Right to Work. Virginia is by law a ‘Right to Work’ State in that you cannot be required to belong to a union or other collective bargaining organization as a condition of employment. That law protects Virginia workers and companies from monopolistic practices by labor unions while allowing people to voluntarily participate in collective bargaining. That balance has contributed to Virginia’s relative prosperity and economic growth. However, our ‘right to work’ status could be repealed at any time, with little warning, by the General Assembly and Governor simply by changing the law. Enshrining the Right to Work in a Constitutional Amendment would guarantee the Right to Work unless the Constitution were amended again, which takes a minimum of two years. That higher standard for changing the law requires that such a change be carefully considered and fully debated. Such a guarantee would also assure employers considering locating in Virginia that they can plan their operations here without fear of precipitous change. The Tidewater Libertarian Party supports this amendment which protects our freedom and helps preserve a free and open market in the labor force. Article X –Section 6A of the Virginia Constitution exempts from taxation the property of 100% disabled military veterans and their spouses, as well as the property of the surviving spouse of a member of the armed forces killed in the line of duty. The proposed Amendment to section 6B would allow, but not require, localities to extend similar exemptions to the surviving spouse of certain emergency service workers who die in the line of duty. Localities would have to pass an appropriate ordinance to extend this relief. 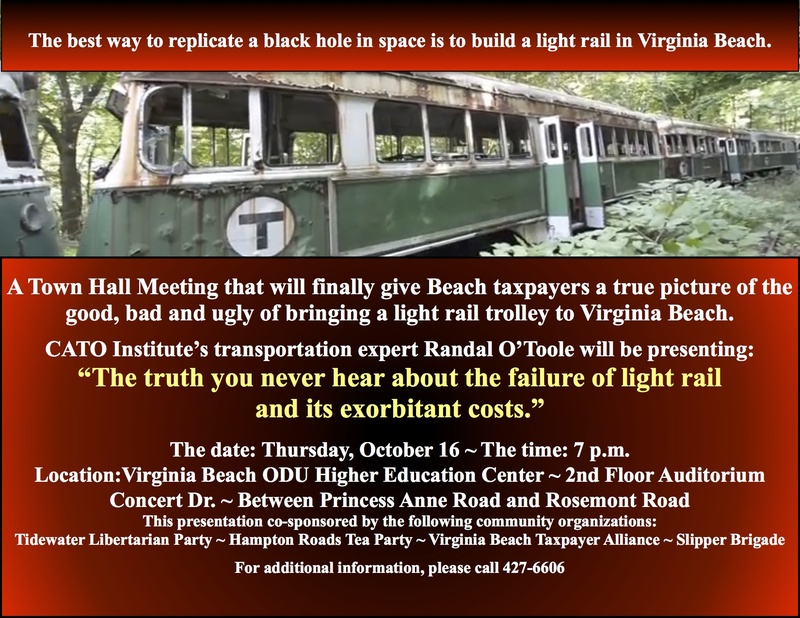 The Tidewater Libertarian Party sympathizes with the intent of this measure, but asserts that there are better ways to accomplish this goal. In general, it is bad policy to exempt any group from taxation as that creates a constituency for raising such taxes for others. Taxes, when necessary, should be universally applied. Localities already have the power to effect such relief by simply providing emergency services personnel with a life insurance policy paid to the surviving spouse as an annuity sufficient to cover property taxes. This amendment, however well intentioned, is both unwise and unnecessary, and thus the amendment is opposed by the Tidewater Libertarian Party. We support providing suitable insurance as an alternative.